The Millennial Wives Club got the opportunity to sit down and talk to Brittnay Peters! She shared with us her evolution, becoming the jewel God called her to be, fashion tips, hardest obstacles faced by millennial women today, and more! The Millennial Wives Club got the opportunity to sit down and talk to the FEARLESS Amanda Smith from Dallas Girl Gang! She shared with us her values, her vision, and her views on being a Millennial woman today aspiring to create a sisterhood of likeminded women while remaining fearless. Who doesn't LOVE a good wig?! We do! As millennial women on the go, it is definitely a convenience to have a good wig on standby for any random date nights or last minute brunch plans with friends. This Friday, The Millennial Wives Club would like to introduce you to Millennial Jasmine McKenzie, owner of JazzBeautyBar. The Millennial Wives Club had the opportunity to sit down and talk to Millennial Wife and Mother, Alicia! We wanted to highlight Alicia because she has a unique story that she shares on her blog "The Ladies Lounge". We talked being mad at God, wife guilt vs. mommy guilt, parenthood, and so much more. It was inspiring hearing Alicia's story and her ability to be so transparent and open about her journey. "Nothing I have has come easy but man, faith and resiliency can take you to the highest of places." We love Courtney and her transparency about her lifestyle as a Boutique Owner and Blogger. She is the epitome of hustle! 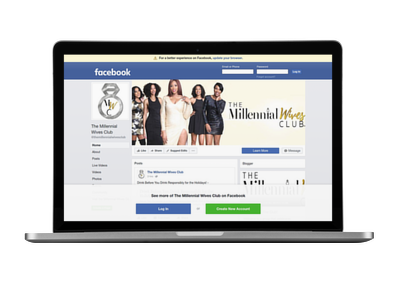 The Millennial Wives Club got the opportunity to sit down and talk to Millennial Single and Baddie Godmother Sydney! We were so excited and happy to catch up with her right before celebrating her 2 Year Anniversary with The Baddie Brunch Series. The Millennial Wives Club had the opportunity to sit down and talk to Millennial Fashion & Lifestyle Blogger, Bianca from Curvaceously Bee! We wanted to highlight Bianca because she is all about supporting and empowering women through sharing her fashion tips, being open and honest about her weight loss surgery, and simply being herself. Check out her interview below! Tia and Shellie are two millennial wives who are spilling the tea on real life topics as it pertains to pop culture and a day in the life of us. Please review and let us know your thoughts! The Millennial Wives Club had the opportunity to sit down and talk to freelance fashion designer and owner of Slayde Hair Lounge, Porschea Lasha! It was a pleasure allowing Porschea to share her story and struggles juggling two completely different careers from her own perspective. Her 2018 Motto is: "Everything I'm Not Made Me Everything I Am"
The Millennial Wives Club had the opportunity to sit down and talk to Millennial MUA and Owner of Desire Lash Company, Desiree Phillips! It was such a fun interview and we hope you enjoy hearing her story and gain something from her advice and experience as an entrepreneur. Her 2018 Affirmation: FACE ALL YOUR FEARS! Watch her interview below and read her interview after that! I was honored to be asked for an interview by Oprah Bradford and I really did enjoy the questions that she asked me. It really made me explore my journey from a single woman to the wife I am today. Check out my Interview with Oprah "Zip" Bradford here. The Millennial Wives Club is celebrating the special and exciting qualities that make someone magical. 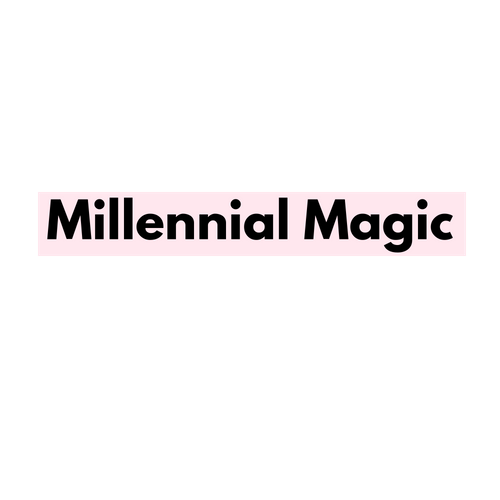 Every Monday we feature different Millennials who will be recognized for their special talent, gift, business/entrepreneurship, career, and influence. This Monday we are highlighting Britne Daughtdrill, a millennial wife, professional therapist, and the creator of a blog called "The Destiny Dive". Have you checked out Blavity's latest article about the report "African American Women: Our Science, Her Magic" from Nielsen's website?! 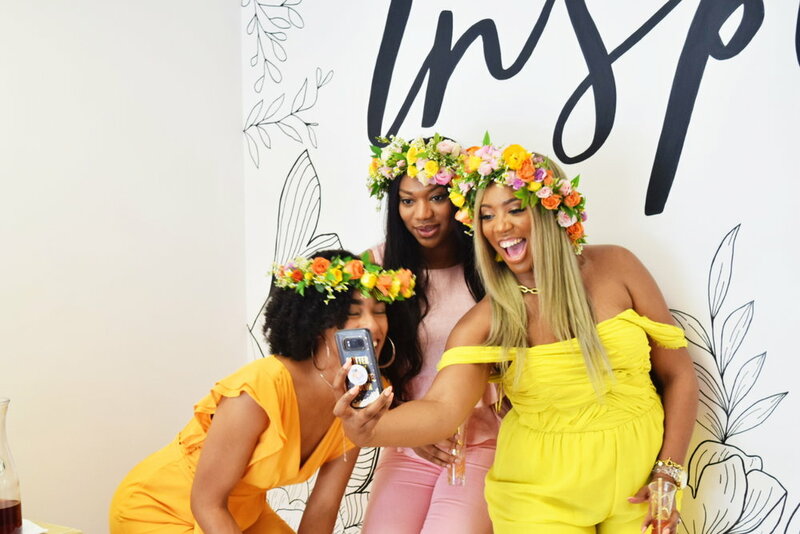 The report analyzes how black women interact with technology, social media, television and also details the natural hair movement and projecting a positive image. Check out my feature in the Luxe Kurves Magazine! So, I've been thinking of a way to discuss "The Hoe Phase" because It REALLY is a thing and it is essential to becoming the woman you need to be. Stay tuned for my personal video about "The Hoe Phase", but this Breakfast Club interview is a great introduction to the topic at hand. Dr. Lil enjoys teaching soulmates creative ways to increase marital intimacy, and divorce proof their marriages by being proactive instead of reactive. Couples working with her learn unique communication styles to overcome their relationship struggles. Her book Miss to Mrs. teaches phenomenal women how to strengthen their unions with the use of her female autonomy within marriage guide. The Millennial Wives Club is celebrating the special and exciting qualities that make someone magical. Every month we feature different Millennials who will be recognized for their special talent, gift, business/entrepreneurship, career, and influence. This month we are celebrating the beautiful Brittany Noble-Jones. She is a Millennial Wife, Millennial Mother, and Millennial Mogul who is learning how to love herself in her natural state! The month of April will be dedicated to Self-Love! Black Girl Magic is taking over the culture right now and I don't mind it at all. Check out this video from one of my favorite shows right now, Empire, and celebrate loving yourself right now!